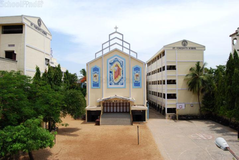 Find below the list of top CBSE schools in Thirumazhisai - Chennai with phone number, address, 360° School tours, 2018-19 Admission forms & Fees, photos, facilities & more. The campus is indeed a feast for the eyes with thriving plants on matted grass lawns which keeps students fresh and active throughout. 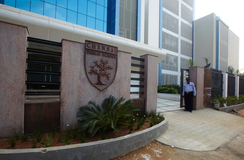 Spartan Group of Schools, founded in 1980 stands today as institutions of academic learning, that can be compared with the best in Chennai. We have excelled in the fields of academics, sports, and extra-curricular activities, and remain firmly committed to the cause of education, in tune with the emerging needs of the present. Education is a continuous process, and it must blossom from a firm and broad foundations. The aim of the school is to encourage a love for learning among the students and inculcate in them a desire to excel at every level. It is in the vibrant and competitive atmosphere of the school that the students of Spartan develop a professional attitude and vigor, which distinguish them from students of other schools. Students develop their own abilities and talents and discover their individual and teaming potential to the fullest, supported by excellent facilities, exposure, and guidance by a highly motivated and dedicated faculty. 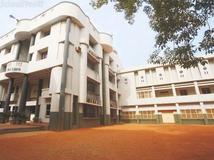 Chennai Public School is that force, masterminding the inevitable Change that you will appreciate! Students are provided intensive exposure to various experiments in the well equipped, spacious and well- ventilated physics lab. 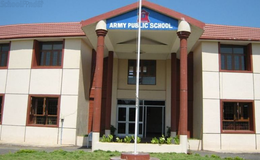 Although there are many top CBSE schools in Thirumazhisai - Chennai it is not necessary that each one is suited to your child's needs. That is why you need to analyze and consider every factor about the best CBSE schools in Thirumazhisai - Chennai before settling for one. 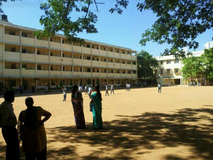 Sqoolz's list of best CBSE schools in Thirumazhisai - Chennai makes this job easier for you. Find every detail that is necessary before choosing the right school. You can also take our virtual tour, a feature solely designed to give parents a sense of assurance.